They don't call them scavengers for nothing. 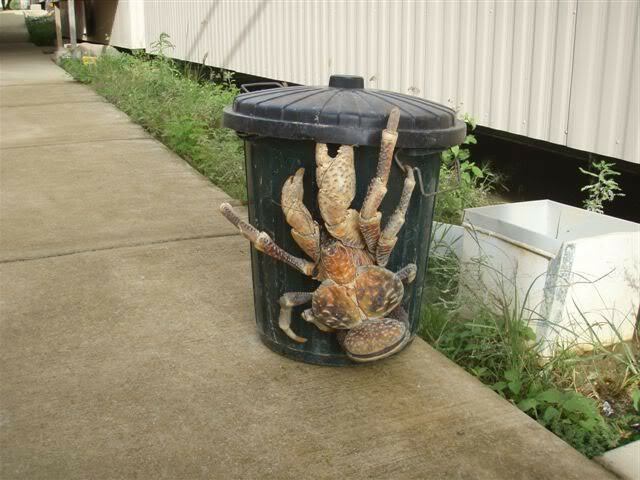 The Coconut Crab‘s got swagger. This crustacean lives in paradise in the coastal forests of the Indo-Pacific islands and has been known to ‘steal’ shiny objects such as silverware and pots. What a life. Cocktail crab! hahahaha! Tres clever! We have these all the time on my private island, they don’t make cocktails, but they do make great dinner! lokks like it’s gumbo time! YUM YUM!! !